The merest hint of a successful deal over Iran’s nuclear programme is enough to get people excited. And as the country emerges from economic isolation, nowhere is the enthusiasm more keenly felt than in the huge oil firms with a chance to make a splash in one of the world’s most resource-rich nations. But are the conditions really there for a boom that will ripple across our lives? 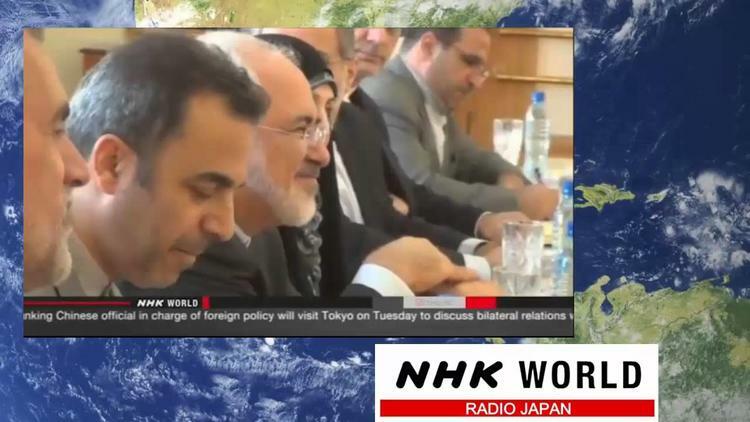 The Joint Comprehensive Plan of Action (JCPOA) agreed between Iran and the so-called P5+1 nations (China, France, Russia, the UK, the US and Germany) brings the prospect of an end to international sanctions. There were threats that the deal might be blocked by the US Congress, which were eventually overcome, and this week has apparently seen the green light in Tehran from parliament and the Guardian Council. In theory, it looks simple from here. The agreement is that the sanctions would be lifted on the “day of implementation” provided that Iran complies with its promises to restrict its nuclear programme. While both the American and Iranian governments seem willing to move towards practical implementation, there remain doubts surrounding the legislative foundation on which this rests. This political fragility – and one crucial detail in the agreement – are a spanner in the works for delivering what would amount to a revolution in global oil markets. The appeal is clear to Royal-Dutch Shell, France’s Total and Italy’s Eni. Iran is home to vast oil and gas reserves which to date have not been effectively tapped due to international restrictions. Iran had planned to introduce a new variety of flexible, less risky contracts as well as 50 new production projects to the international petroleum market in a conference to be held in London at the end of this year, but has since been postponed for the fourth time, to early 2016. The Iranian regime’s inconsistent implementation of the agreement has created a confusing situation. On the one hand, the head of the International Atomic Energy Agency was permitted to visit Iran’s most controversial military site, Parchin, as recently as September 21, contrary to the recent parliamentary interpretation of the deal excluding such inspections. In contrast, in October Iran successfully fired a long-range ballistic missile and revealed one of its missile bases hidden in a mountain, in what seems to be a deliberately provocative act, undermining their commitments under the agreement. This odd chain of events highlights the idea that the agreement’s apparent political success remains shaky, and far from solid ground for major corporate decision making. Legislative obstacles and provocative military actions make it clear that enforcement of an agreement is heavily dependent on the simple political will of the parties involved. As an example, we can view the involvement of the Iranian parliament in ratifying the JCPOA as a device to mirror the debates within the US senate, rather than a genuine act of parliament. The law that confers the power on parliament to scrutinise international agreements is outlined in Article 77 of the Iranian Constitution which mandates that: “International treaties, protocols, contracts and agreements must be approved by the Islamic Consultative Assembly”. That means that by referring to the agreement as a “Plan of Action”, the Iranian government avoids the JCPOA being treated as an international treaty requiring domestic ratification. Rather than conferring obligations on any of the parties, it was intended, at least as claimed by the Iranian government, to be of a voluntary nature. Its implementation was said to be contingent on the actions of the other parties. 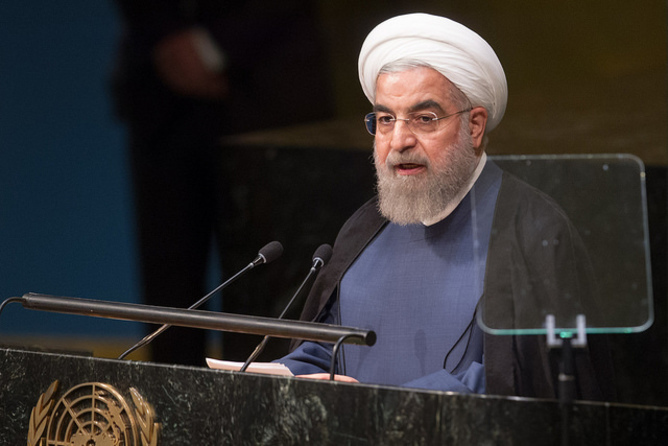 Iranian president Hassan Rouhani speaks at the UN. This allowed the government of president Hassan Rouhani to resist submitting the agreement to the parliament in the form of a bill. In fact, under the Iranian constitution, simply by not signing the JCPOA, Rouhani removed a further prompt which would have required parliamentary approval. And then we have the idea, frequently claimed, that it is not in any case the responsibility of parliament to deal with nuclear agreements. The idea being that such power has been specifically conferred to Iran’s Supreme National Security Council (SNSC) under the constitution. And so, this “plan of action” accepted by the Rouhani government on the basis of the negotiating parties’ good faith has weight right now, but is subject to his political influence. Looking ahead to more solid foundations, were the ratification of the JCPOA by parliament and the Guardian Council to be combined with the signature of the president, then that would render the deal as domestic law. That would bind not only Rouhani’s government but any future government to come which would be a positive development. Any foreign company, in the current environment, would be well served to hold themselves back and wait until they can verify the agreement has entered into an established implementation phase. The current position remains economically fragile and crucially, subject to shifting political sands. If you want further proof of this fragility then look no further than the intention of the US government to maintain sanctions against the Iranian Revolutionary Guard Corps. The Corps was established to defend the Islamic Republic against internal and external threats but has expanded to exert great influence over the Iranian oil and gas industry through hundreds of companies within its control. Even if there is a smooth path to ending sanctions under the current deal, then investors must ensure that their Iranian counterparts and contractors are not still subject to restrictions due to their connection with the Corps. It is a worrying wrinkle in the works among many and the coming months will be crucial in determining whether the force of political will can overcome the obstacles thrown in its path, and open up a secure new front for eager, but hopefully cautious, businesses.